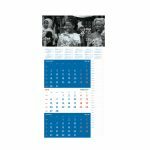 The triptych wall calendar is a pleasure and provides a perfect planning tool with visibility for 3 months. 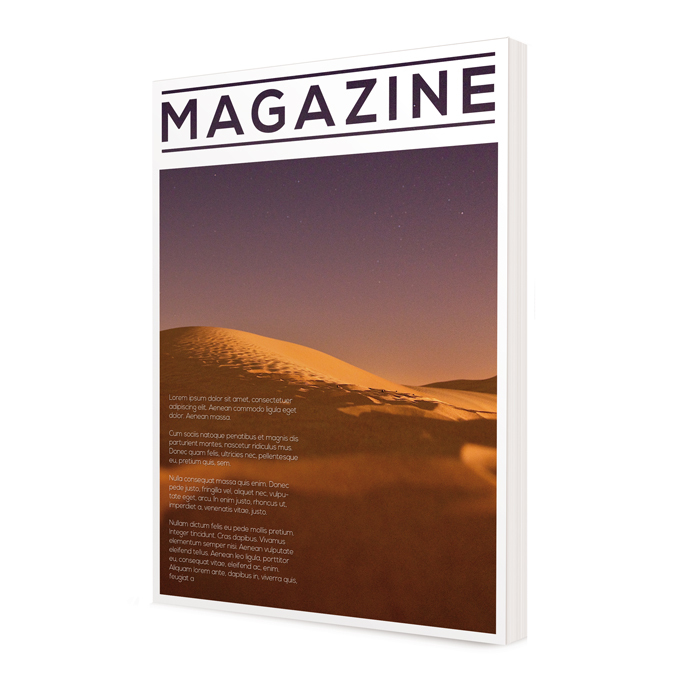 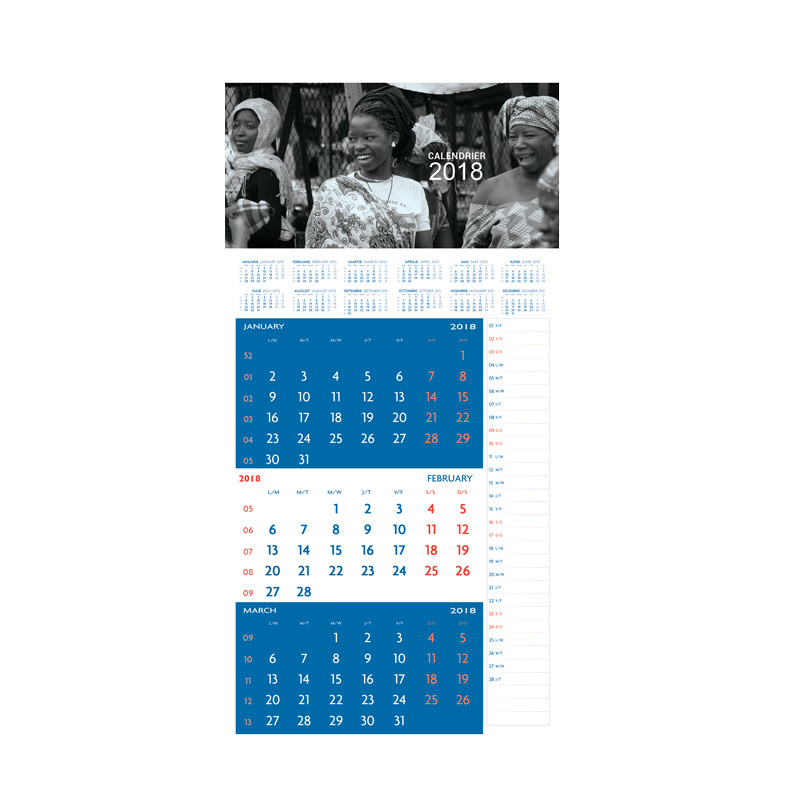 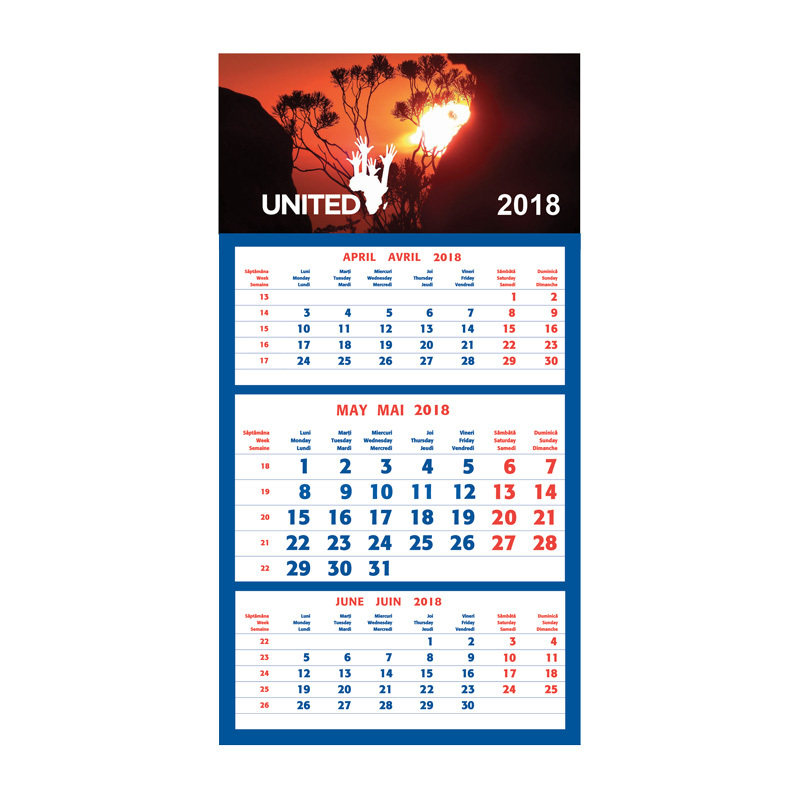 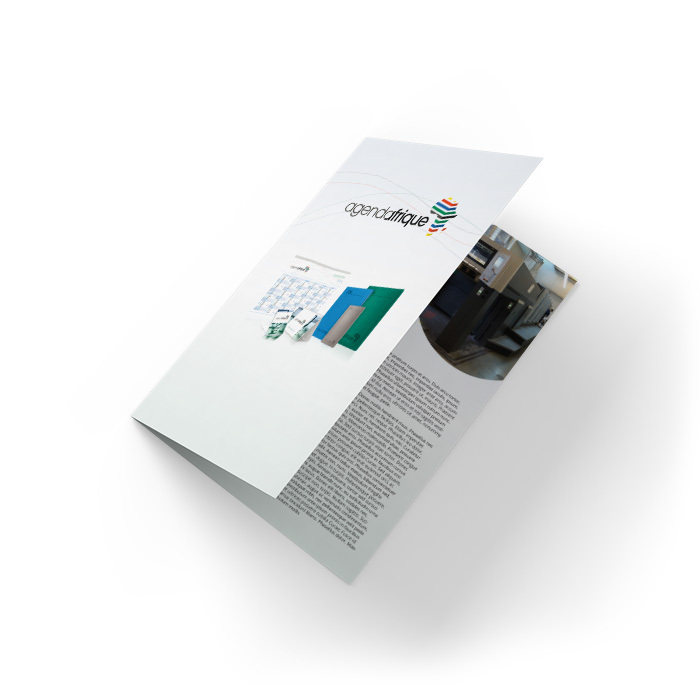 The top of the calendar is customized with your name, logo, images and advertisement. 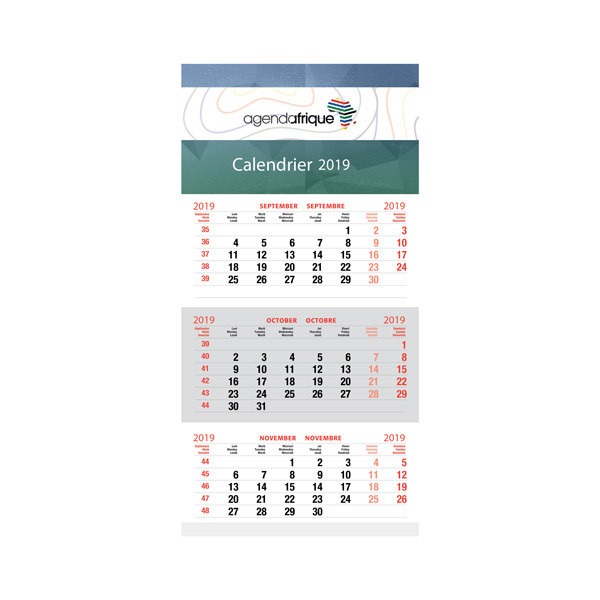 The triptych wall calendar is also very functional by the identification numbers of the week, the removable cursor and its translation in four languages, and thereby becomes an international advertising medium. Ask a free quote request for your 2018 calendar!